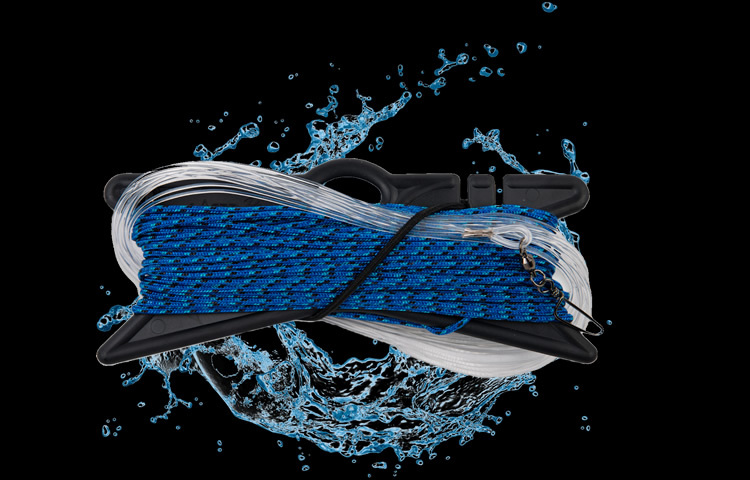 WaayCool’s deep sea handlines are easy to use, stow compactly, require virtually no maintenance, and provide outstanding performance – year after year. 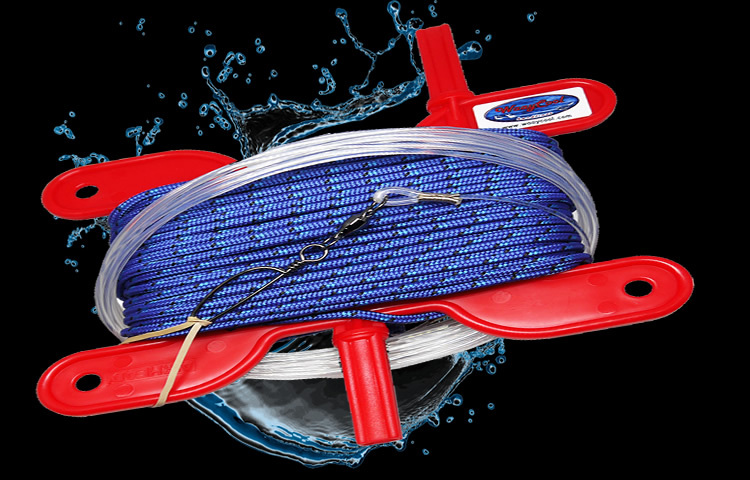 Whether you’re aboard a sailboat, sportsfishing boat, or commercial vessel, we have a handline configuration that’s right for you. 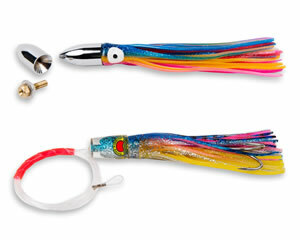 Our jet head lure rigged with steel leader is perfect for deep sea fishing when wahoo are in the area. Proven to catch wahoo, tuna, mahi mahi, barracuda, and rainbow runner. Solid chrome jet head (with an easy bolt release for quick skirt replacement), double skirted, and 7.5″ in length. Available rigged with six feet of 275# stainless steel leader and a Maruto #1 double stainless steel hook. We are now offering a resin head lure, double skirted with a proven head and skirt color combination, rigged with six feet of 300# mono and a Maruto #1 double stainless steel hook (the strongest hook made). 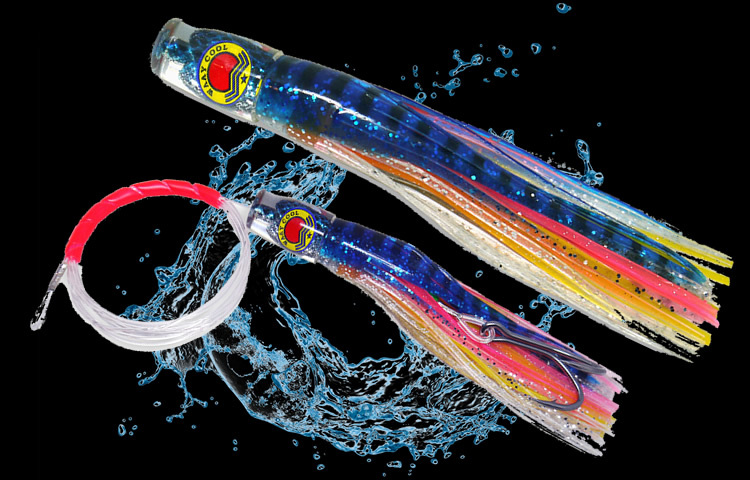 A nice general purpose size at 7.5″ in length – perfect for tuna and mahi mahi. Our Kayak Handline is scaled for small craft angling and ideal for trolling, jigging, and bottom fishing. This compact handline provides both the performance and quality our customers have come to expect from a WaayCool handline. 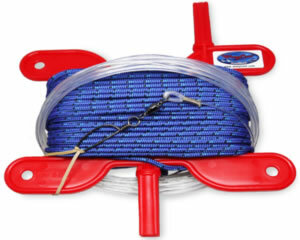 We are excited to announce our newest product – the Ready-to-Handline-Fish kit. 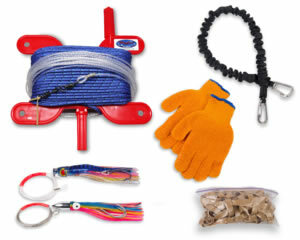 It includes everything you need to handline fish. 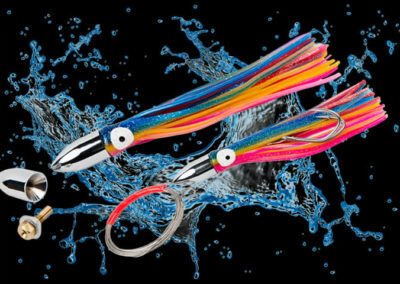 That’s right, WaayCool is now selling lures! The same lures we use, rigged and ready to fish. 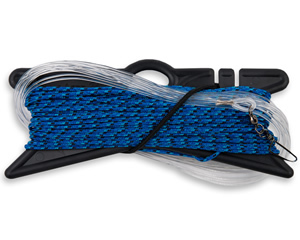 Our Kayak Handline, ideal for trolling, jigging and bottom fishing, was developed for small craft fishing and long duration expeditions where quality and compactness are key. Watch WaayCool Handlines In Action!